In his musical expression Svendsen still walks the fine line of opposites. He takes both the obvious and the unpredictable, the familiar and the unknown into play, dedicated to entertain yet challenge the listener. 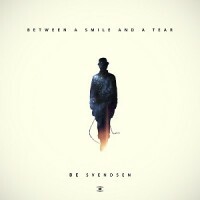 Be Svendsens describes his musical universe as so: ”The music should ultimately connect you to a bigger picture”. The goal is to express and convey a feeling, and to behold the moment - the essence of oscillating between a smile and a tear. “I like to bring tragedy and humour together, and invite them up for a dance.” This is in some way, a a celebration of what he calls chiaroscuro - the light and dark - of existence.